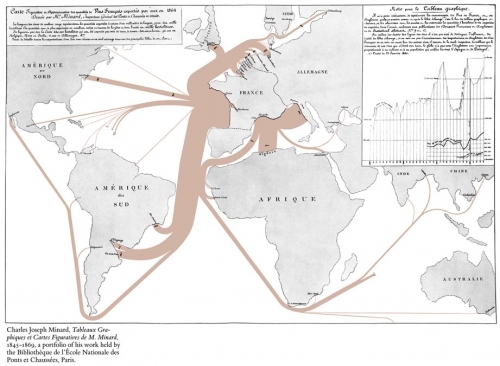 Just back from a holiday, and in order not to keep you waiting for new Sankey diagams … shuffle, shuffle, draw … here are two more one from the Mondays with Minard series at the Cartographia blog (see previous post). 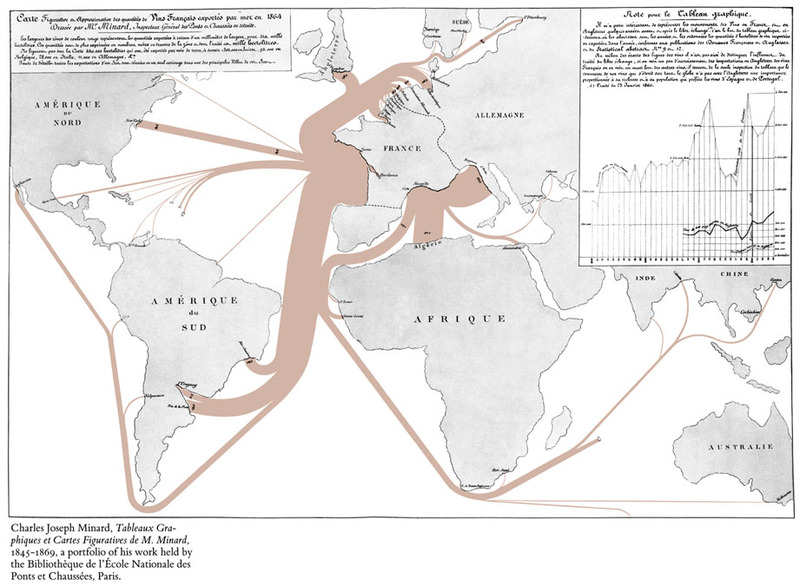 The first one shows French wine exports in 1864. A lot of the good stuff goes to European neighbours, the U.S., to Brasil, Uruguay and Argentina [the latter today an exporter of great wines themself]. But there are also some gourmants that appreciate ‘un verre de bon rouge’ in remote places such as India, China, and of course the outer French territories (Mauritius and Reunion). Not sure what the unit of flow is, as the image is to small to read. 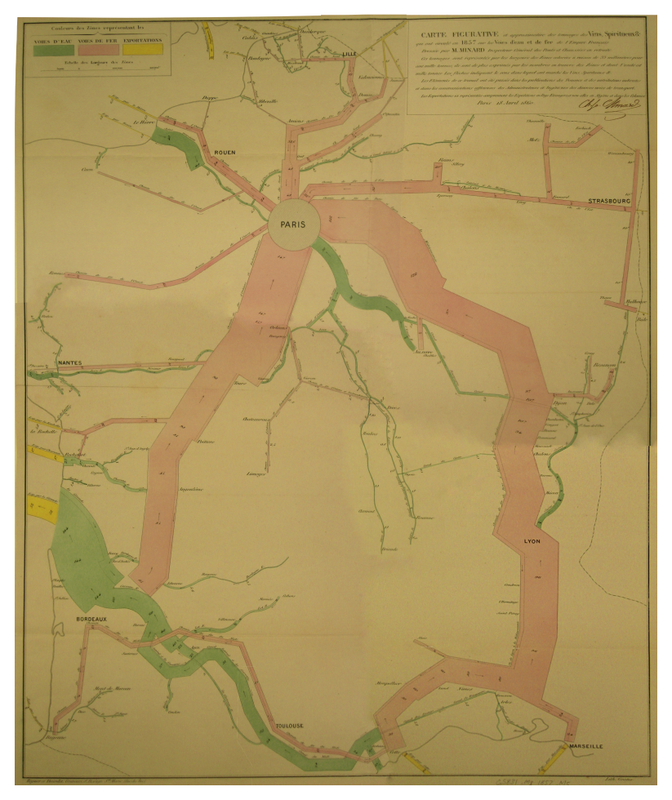 The second one is a map of France that shows the transport of wine and spirits in 1857. 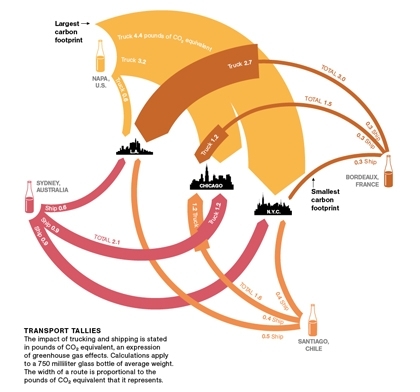 Most of the good stuff is shipped to Paris along rivers (green) and major railway lines (pink). Road transport seems to have been excluded. You can also see the transports to the ports for exports (yellow). Flows are in tonnes, but the band itself shows transports in both directions. 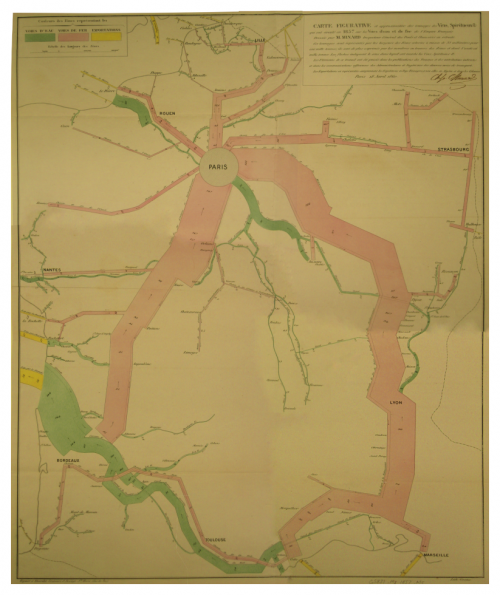 This national map could be seen as an inset into the above map.